Zombies. I have written a few stories about them and I’m working on one now which has me thinking about the story telling niche they fill. Why are they so prevalent in our modern, western culture? Firstly, I think we identify quite easily with the feeling in these stories of being outnumbered and overwhelmed by mindless masses. I’m not saying, as some might, that I think most of the world is populated by idiots, just that it is very difficult for the average person to identify with the hundreds, maybe thousands, of unknown people they pass by every day, or those people who are so culturally different from themselves there seems to be very little common ground to identify between them. That makes for a world stuffed with unknowable strangers, who can certainly seem quite frightening. Secondly, if there is one thing we all do seem to fear in the West, it’s the loss of our technological and cultural privileges and the idea of returning to a raw state of survival. We fear it, I think, because we are aware of it’s fragility and of the imbalance it creates in the world. How many times have we had a parent or grandparent tell us how privileged we are to be able to eat plentifully? How often have we been reminded the rest of the world is lacking what we have? 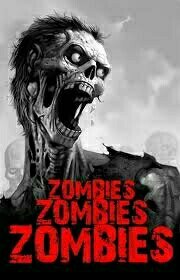 Zombie stories combine these fears into a powerful scenario unlike any other “supernatural” fiction, and they draw us in like no other such fiction because of that. We scare ourselves to stave off complacency and keep the taste of our luxuries fresh and sweet. As part of the work I did recently on this old piece, I re-wrote the introduction. Here it is in all it’s possibly controversial glory. No apologies, it’s fiction. On September the 11th 2001, a group of Saudi Arabian nationals hijacked four planes within US airspace. For more than an hour they flew the planes without any intervention from the US air force, although in one the passengers staged a mutiny which led to the deaths of everyone on board. The remaining three planes made it to their targets – the Pentagon and towers one and two of the World Trade Centre. The overall casualties of their action were slightly over 3000 people. This shocking and barbarous act of terrorism led the US to launch the War on Terror, but also to resurrect the idea of SDI, or “Star Wars”, a much derided plan from the Reagan Adminsitration of the 1980’s which was to place a weaponised missile defence platform in orbit around Earth to allow for swift neutralisation of enemy missile launches. The original plan was evolved and built upon in a search for “Total Spectrum Dominance”, a phrase coined by the powerful lobbying group, the Project for a New American Century. The Global Resistance Network comprises of a group of hackers and freedom fighters who wage terrorist war against the US in both the real and the virtual world. The hackers routinely bring down and subvert links in the US communication network often in conjunction with physical attacks – mostly hit and fade style affairs. Working mostly in fully integrated cells with very little influence from central command, The only distinctive goal of its many groups ethos’s is the end of US global dominance. The whole world lives in fear of US power and there is no one country that will shelter or back the GRN. Global population is high, disease – mostly in the “Old world” is rife, as is poverty. The Global depression has ground down even many of the formerly affluent European nations. Outside of the US itself, outlets selling US goods often find themselves the target of terrorist attacks, with governments feeling obliged to fund the security of these outlets for fear of US reprisals. What follows is the fragmented story of one European group as they begin a highly risky campaign against US listening and communications networks on European soil. 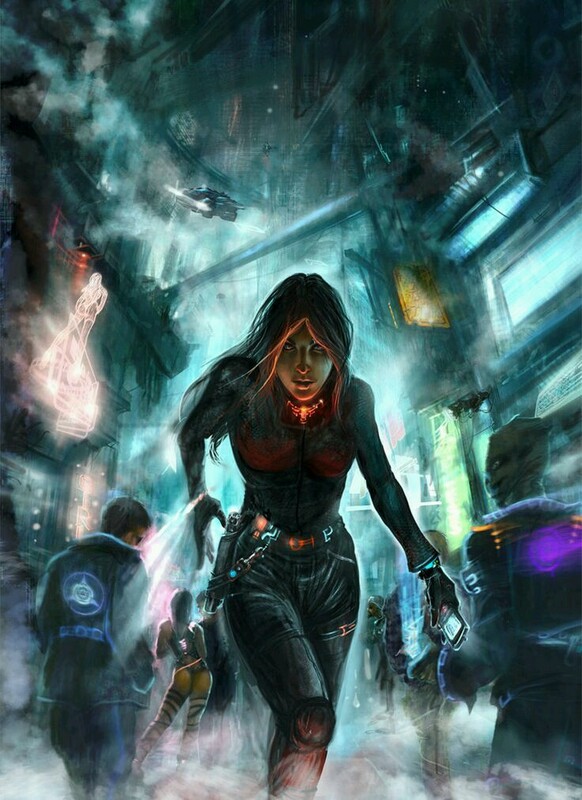 The story was gleaned from neural recordings taken from Honey Kirkwall, a GRN operative and computer specialist. The recordings were taken post mortem, and as such have large gaps in the narrative. Editorial decisions were also made concerning the ordering of the fragments of narrative, in order to best present her version of events. Dates have been avoided as only certain parts of the narrative can be placed to exact dates. The following is an excerpt from a story I wrote some time ago, partly inspired by the events of the 11th of September 2001. It is set in a possible near future. In this excerpt, the main character, Honey Kirkwall, explains a little about herself and her world. Things I remember from my childhood, before and then in those first few tentative years after the September 11th attacks, seem almost unreal – too glossy and glamorous to have really happened. So many things we took for granted, things I wanted and possessed as a child that no child now ever dreams of. Peace, the sanctity of your home, education that the world envied, even looking down -albeit with sympathy- on all those developing nations sunk in a quagmire of civil war. Somewhere in the back of my mind, flickering on celluloid, is the voice of a man pleading with his fate in making a last stand against the hoards of darkness “How did it come to this?” and I feel so bitterly the echo of that plea in the face of every other European, once rich, now reduced to scraping a living as an exploited labourer at the mercy of yet another US corporation. Everywhere, where once diverse and ancient culture flourished, we see the boot-print of US culture. Coca Cola, McDonalds, Microsoft, Monsanto, SmithKline, US film, US TV, US sports. Soccer, as they call it, is outlawed because it is considered a source of anti-us feeling – people congregating in large numbers and celebrating something that means nothing to the Americans. The French film industry is banned – a philosophical hotbed of anti-us statement. Hell, the Italians are only allowed to keep Pizza because the Americans have claimed it. The resentment felt against America is surpassed only by fear of it. “Total Spectrum Dominance” is their phrase for what they have done to subjugate the world. What this means literally is they own the world. They can attack any building in any country from weapons satellites in space at a moments notice – where the Eiffel Tower was there remains only twisted metal and Mecca is a pile of rubble. So-called “Free” governments give into US demand without any show of resistance now. Their army is so far beyond any other nation’s as to be ridiculous, their complete command of space allows them freedom to impose their will wherever they choose. Europe has never stood a chance. I feel acutely for what we have lost in the world. My parents were both University professors – my father in Computer Science, my mother in Social Science and Philosophy – and they were among the first casualties of fear of contradicting the US in our country. My father was handed over to the Americans for defacing a US govt website, and then simply disappeared, my Mother was arrested on some spurious charge when she started campaigning for my Fathers release. When our government officials agreed a deal to hand over her and a large group of other “dissidents” to the US, my Mother committed suicide. My childhood is littered with happy memories; my teen and subsequent years have been saturated with bitterness. I grew up angry, disillusioned and at odds with everything society had come to mean. At least, I have not been alone. While governments have stood back and allowed US dominance to continue, terrorist activities have soared up in number. Terrorists have also become increasingly sophisticated, swallowing up new technologies and subverting them and there is enough money still floating around in Europe (and the Middle East) to keep the terrorists afloat. Global communications are also as much of an advantage to the terrorists as they are to the US military might. It is the only means of fighting the US hegemony, though success is varied. No government will openly back terrorists, most will persecute them ruthlessly.